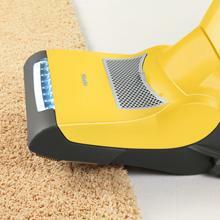 Miele’s Dynamic U1 Jazz vacuum features a unique electrobrush that follows the contours of your floor, automatically adjusting for different carpet depths and surface coverings, providing even, consistent suction and gentle cleaning. 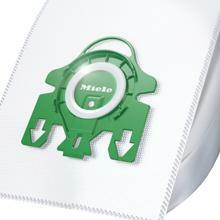 The Dynamic U1 Jazz features Miele’s AirClean Sealed System, comprised of an AirClean FilterBag and Active HEPA Filter that captures and retains 99.9+ percent of dirt, dust and allergens. 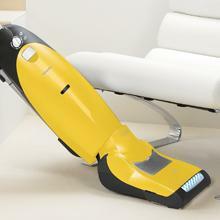 The Jazz vacuum features a rotary dial control with four power settings that allows you to adjust the level of suction to the type of surface being cleaned. Other conveniences include three accessories, a dusting brush, upholstery tool and crevice nozzle, and an LED headlight. 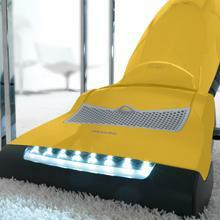 Offers ultimate maneuverability, pivoting around chair legs and cleaning under low furnishings. 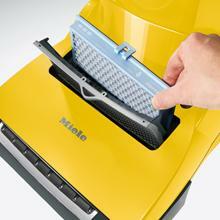 A spring-loaded brush roller automatically adjusts to the surface being cleaned, with no loss of suction. Proven to retain 99.9+% of dust particles, a HEPA filter is ideal for allergy and asthma sufferers. Bright light illuminates the area being cleaned. Comprized of an Auto-Seal closing FilterBag and HEPA filter, the S7 Jazz captures and retains 99.9+% of dirt, dust and allergens. 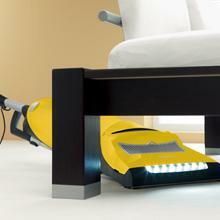 No need to move furniture while cleaning, you can maneuver around or under it.